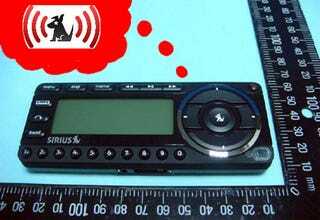 Sirius Starmate 5 Coming With XM Support? Sirius' update to its Starmate line, the Starmate 5, is currently in front of the FCC for testing, and it looks like it might have a little trick up its sleeve. The gadget includes the standard abilities to pause, rewind, and replay up to 44 minutes of live radio, a memo feature to store up to 30 favorite artists or songs and a wide-angle 5 line display, but it also might just have the ability to play XM radio stations as well. Though the function to grab sweet sounds from its partner-to-be isn't listed in the Starmate 5's spec sheet, a memo between a testing firm and the FCC authorization staff hinted at Sirius XM interoperability. In a letter asking the testing firm to do another bandwidth test, the FCC said that it "used the satellite radio signal coming from either XM or Sirius."